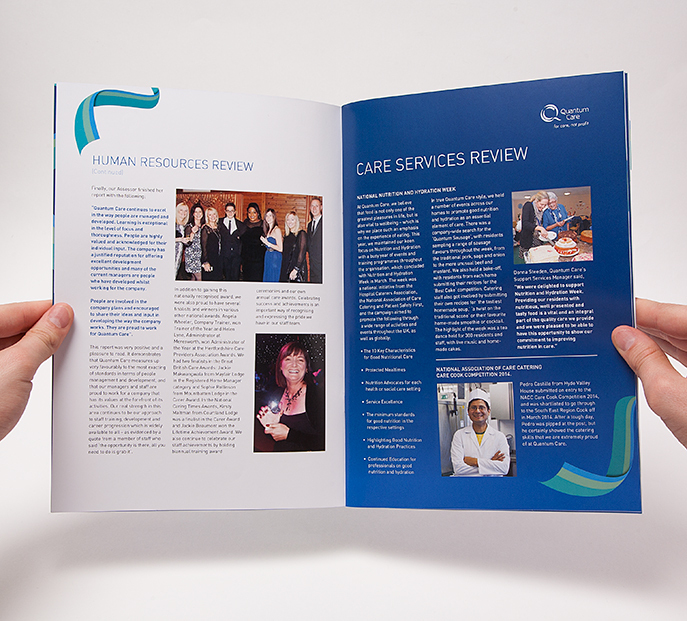 This Annual Report was all about the branding – whilst naturally needing to be turned around in double-quick time…which is standard for annual reports!. 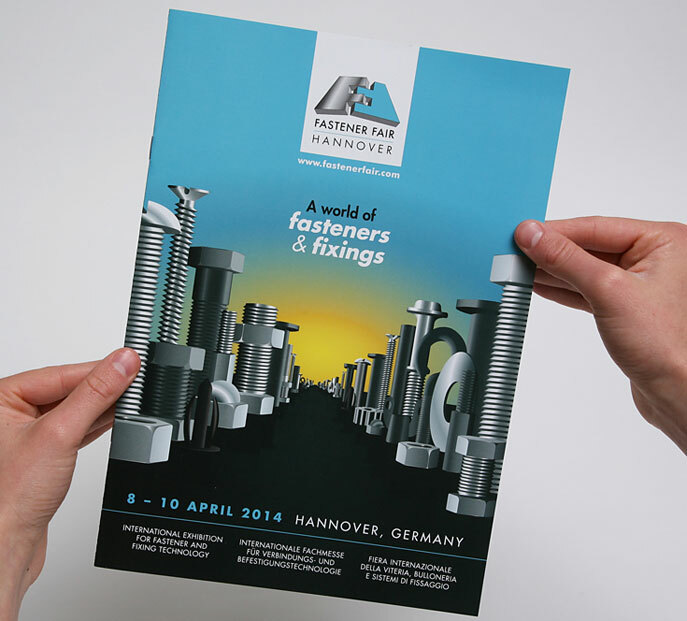 A successful trade exhibition, featuring less than inspiring products! 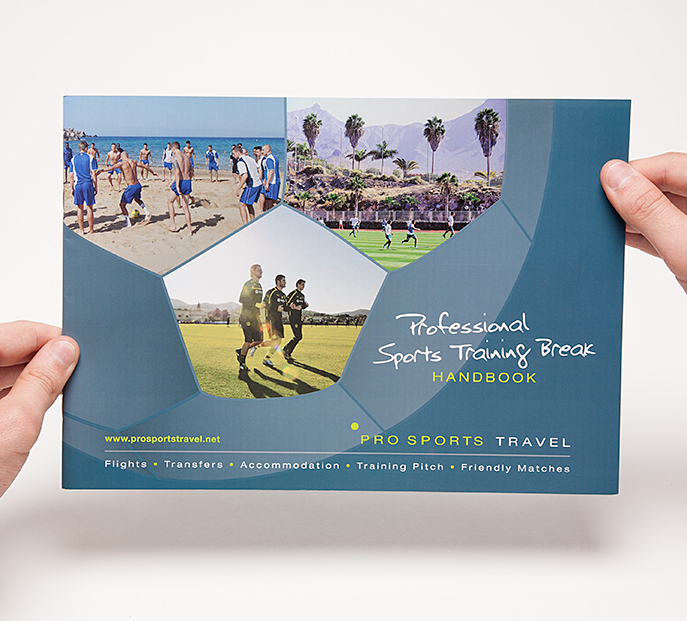 We breathed new life into their image with some bespoke illustration. 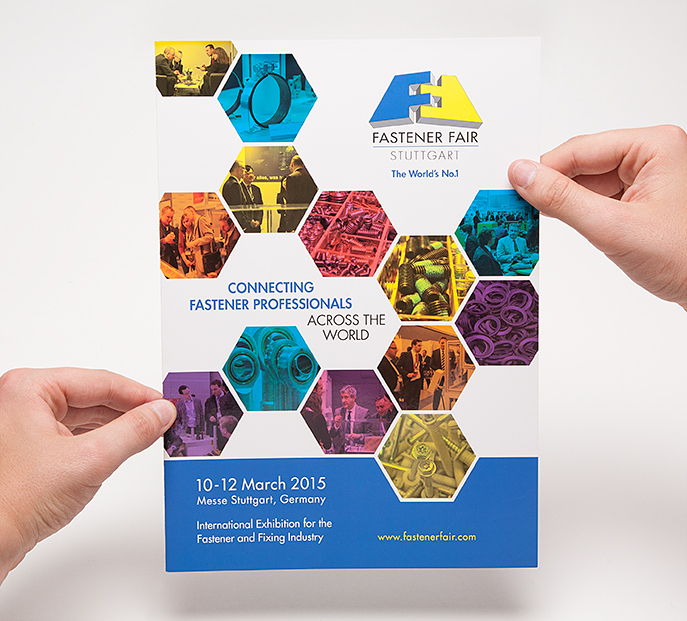 A successful trade exhibition, featuring less than inspiring products. 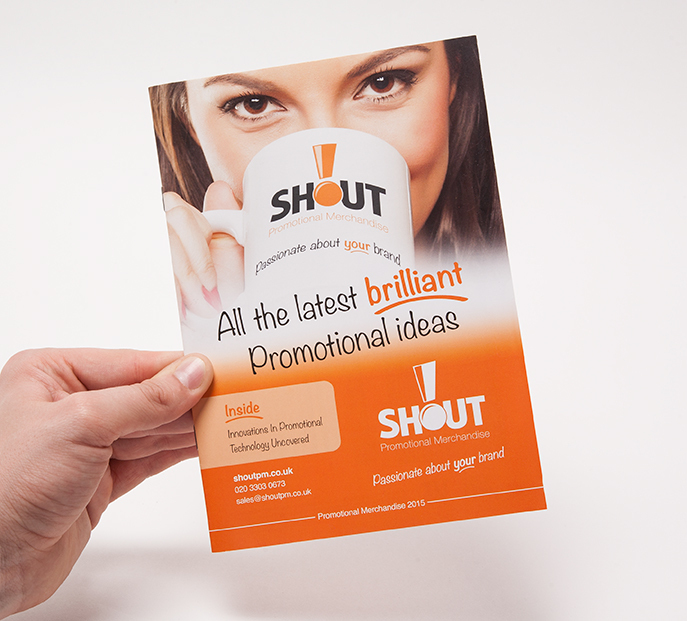 We breathed new life into their image with some bespoke illustration. 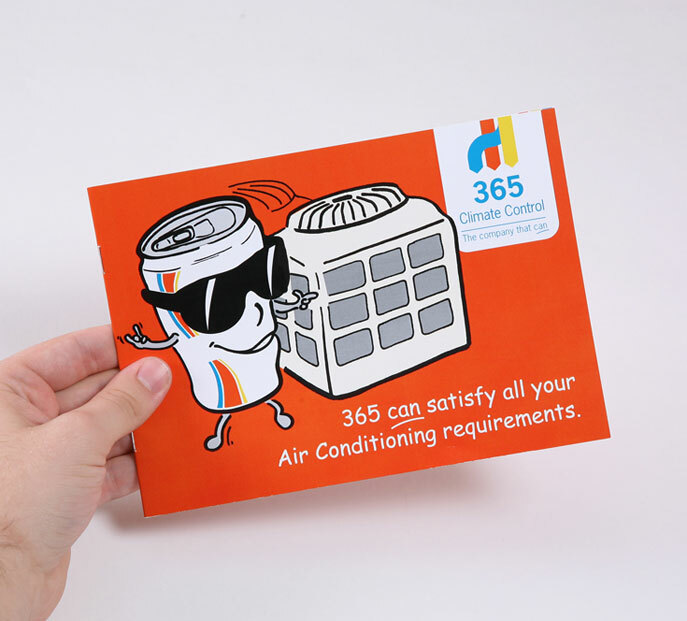 We developed the 'Can Man' character to reflect the client's positive, can-do approach to doing business. A powerful lead image can make a front page. 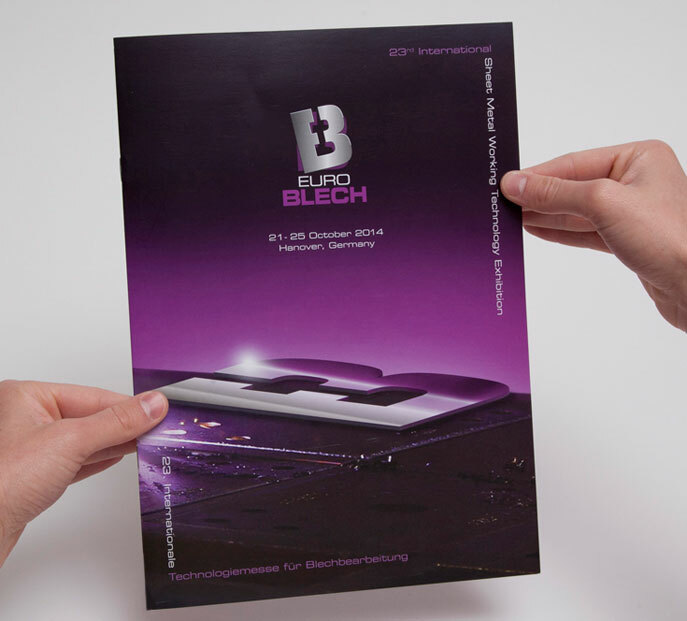 This brochure for the world's largest sheet metal exhibition, in Germany, introduced a new logo, which is shown being 'formed' on the front cover. Inside, the priority was to showcase the huge variety of machinery and exhibitors on display at the show. 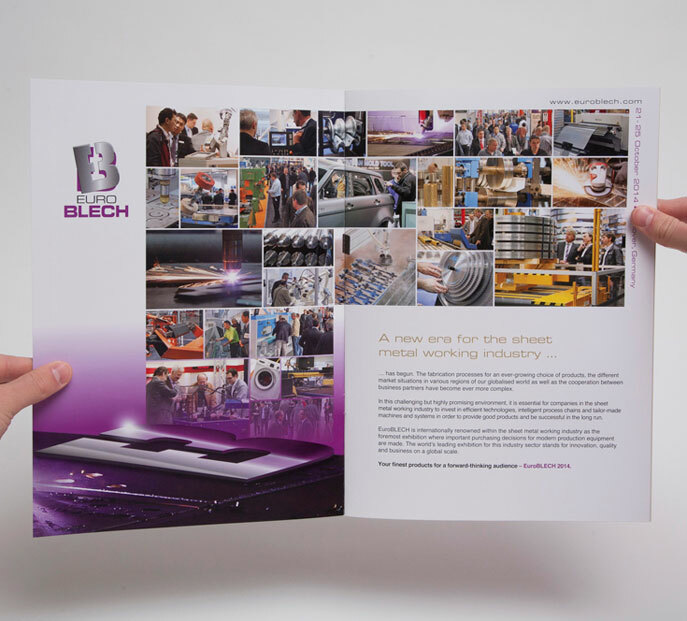 Bold slabs of colour, large images and minimal content can create a powerful effect…without distractions. Creating ‘eye contact’ is a great way to provide impact and appeal – but it needs to be relevant to the message or product. 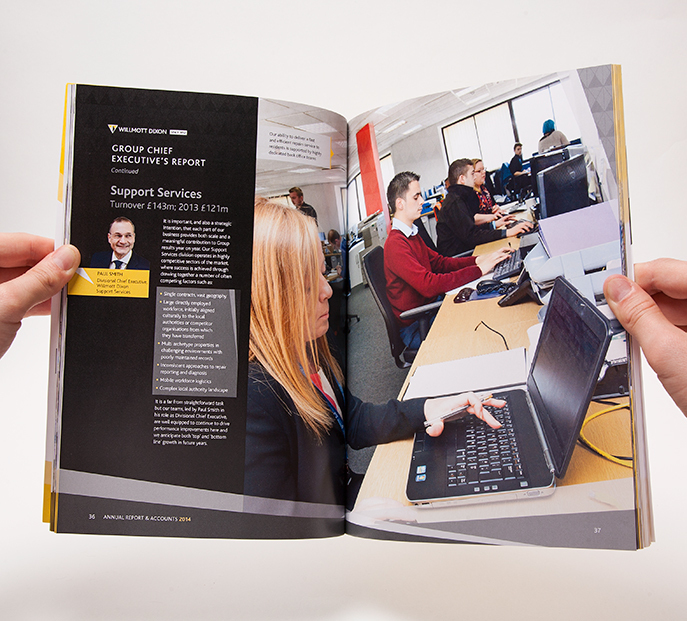 The brief was to major on the ‘hero’ people images…fortunately the images were strong enough to enable us to do this successfully. 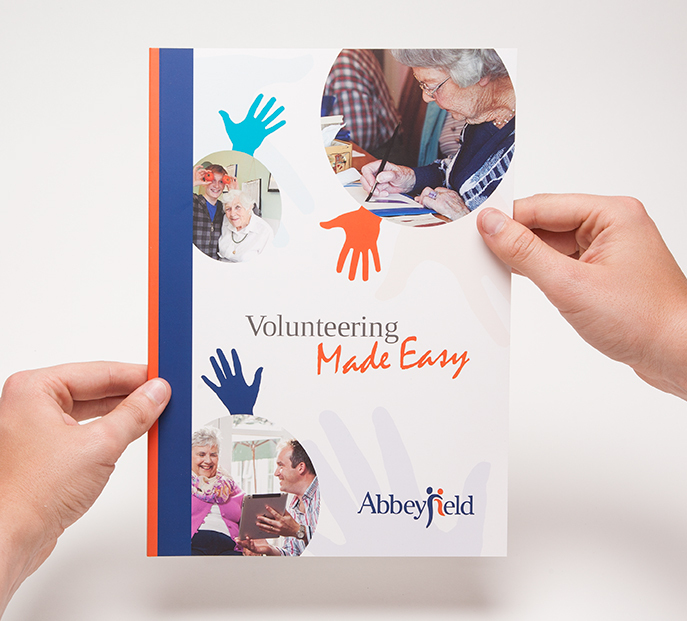 The concept of volunteering is all about ‘putting your hand up’ to do something worthwhile…hence the design motif of this brochure. 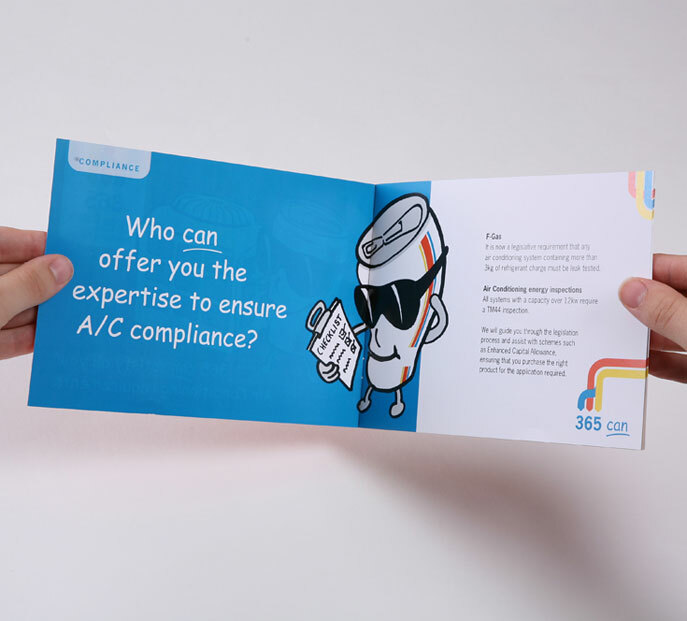 The concept utilised the shape of the product to illustrate the key theme of ‘connectivity’ – with some lively colours to give everything a lift. There’s an art to creating a design structure with enough flexibility to lay out variable content, whilst keeping it appealing and easy to read and navigate. 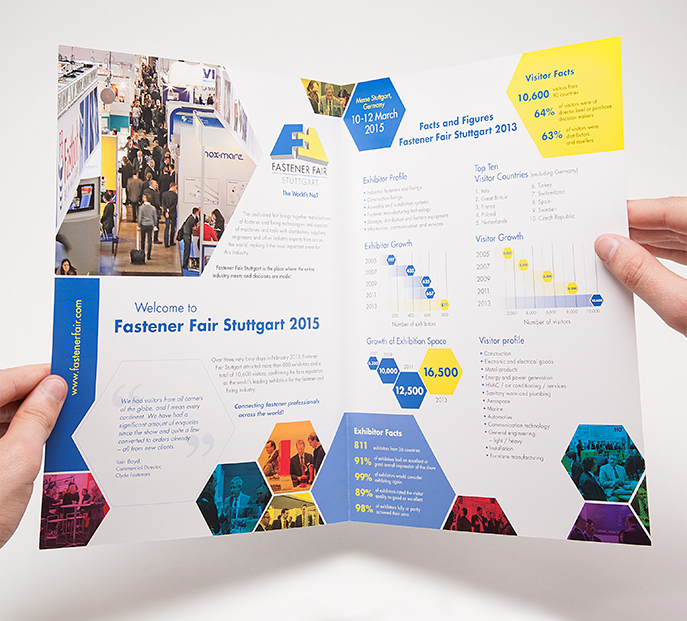 A simple design for a serious document – with a few little flourishes to add visual interest. 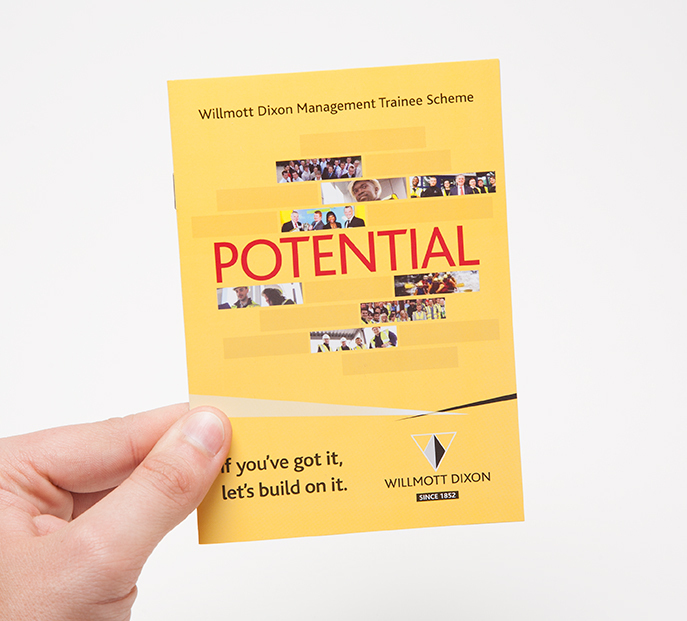 For a pocket-sized booklet, we needed to strip the message down to its bare minimum: in this case a single word headline. 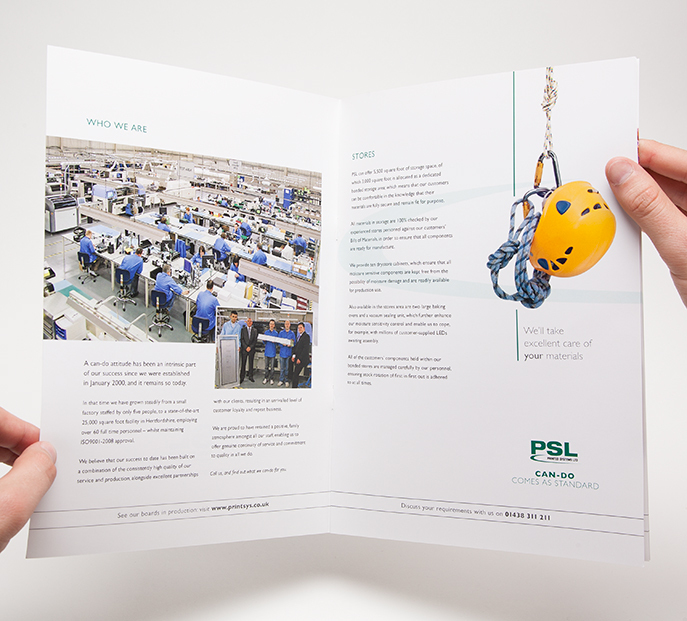 The brief was to incorporate the ‘can-do’ campaign message within a professional and informative company overview brochure. Printed or electronic? Well, both actually. 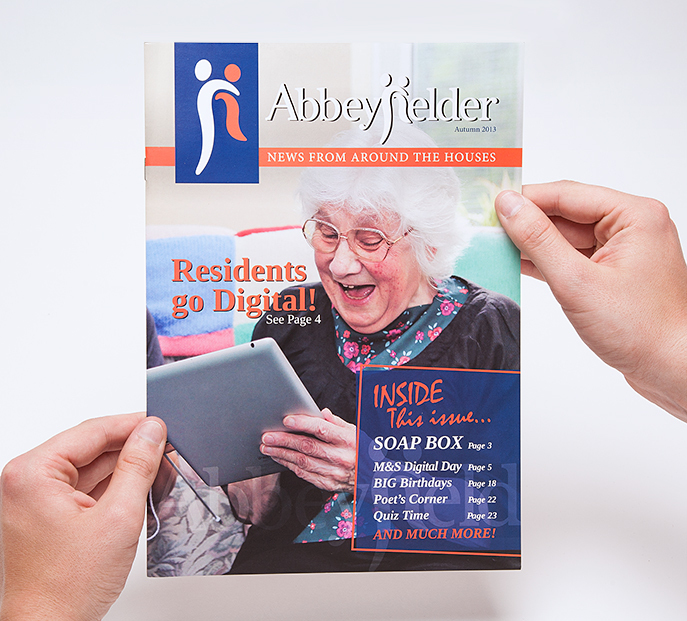 Contrary to some reports, print isn’t dead. In fact, we think that it’s alive and kicking. Although we live in an increasingly online world, a lot of electronic communication is simply too transient to properly deliver the goods. 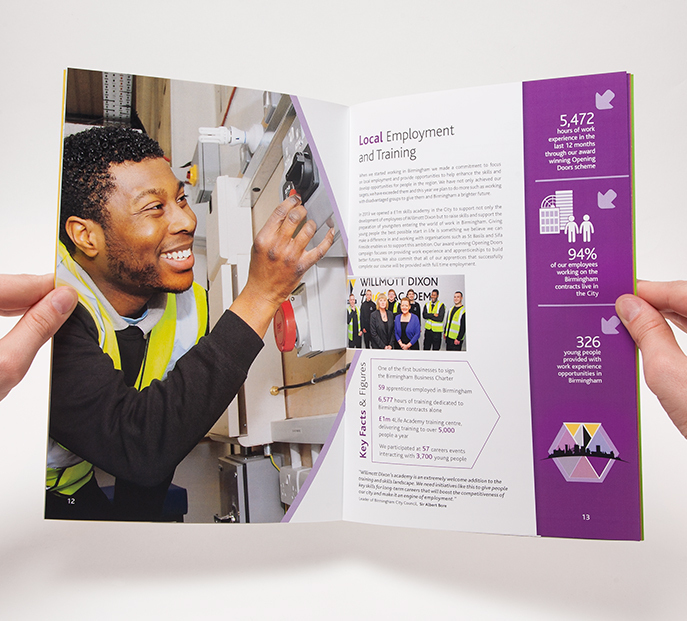 It may be tempting, especially when budgets are tight, to publish or distribute literature solely online, but statistics show that readers are likely to spend less time reading it when compared to a printed brochure. It’s common sense, really. In your no doubt overloaded email in-box, how many times have you skipped passed an e-communication (perhaps intending to come back to it later) never to return? And if you get as far as opening that attachment, you’re far more likely to skim-read it, flicking through the pages rather than properly digesting the content. It’s so disposable. 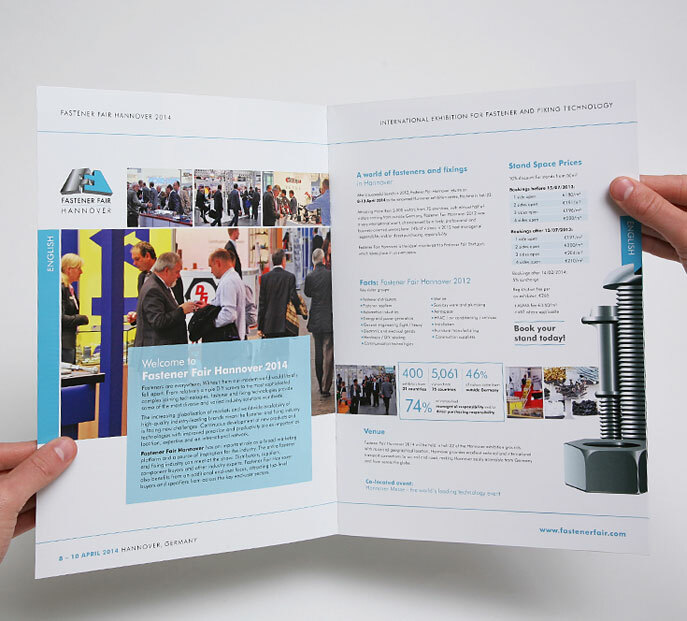 In such an environment, printed brochures stand out as a mechanism for getting across your message in a carefully controlled fashion. You can regulate the amount of information which appears on each page, control the feel of the document in the recipient’s hands, ensure that colours and images are properly reproduced without relying on someone else’s low-grade monitor or tiny smartphone screen. 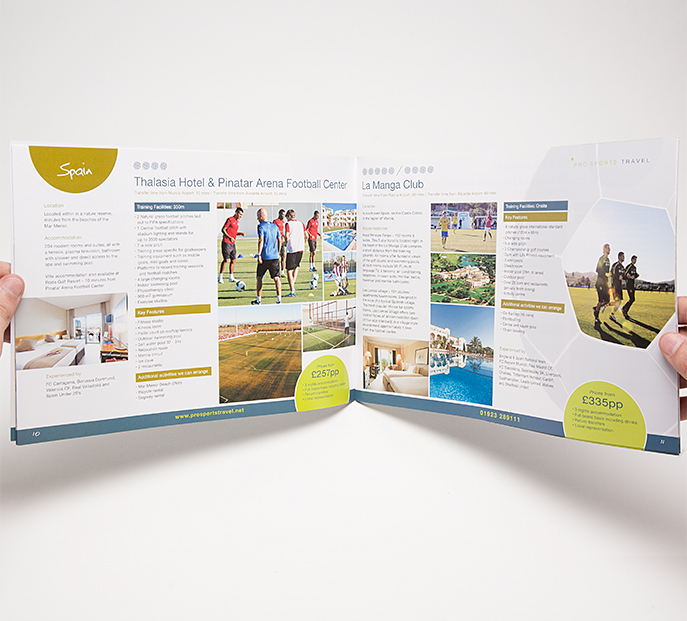 That isn’t to say that electronic brochures don’t have their place, especially for what we would call ‘go to’ literature – that is, where your audience has a reason to actually go and find your brochure (which of course is easier to do online), perhaps because you’ve steered them there via an advert, or a link on your website. A big factor will also be the age of your audience: the younger the target, the more tuned in they’ll be to reading digitally. 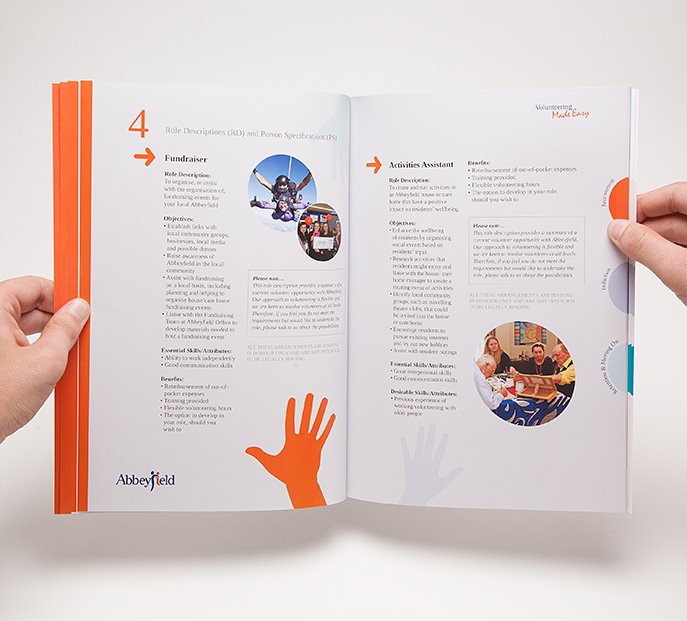 Electronic versions of brochures can also be enhanced, by embedding videos, animations, links and other interactivity. 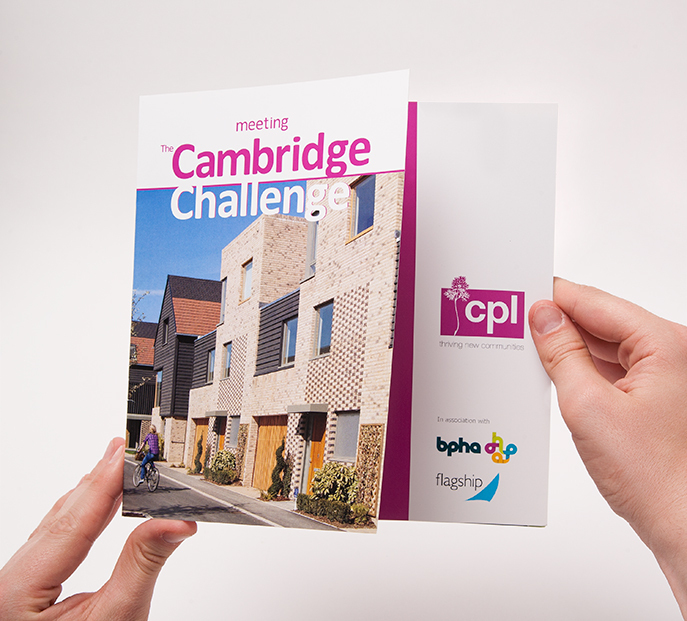 So before we start designing your brochure, we’d ask you to think carefully about whether printed or online is more appropriate. The most common answer is ‘both’, which isn’t a problem because a good design can be subtly adapted to suit both formats, helping you to get the max out of your creative budget. 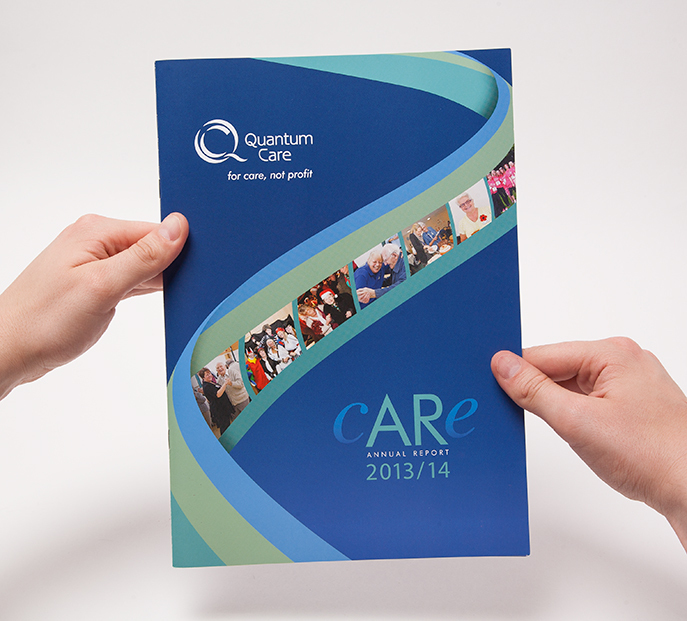 Now, what do you need your brochure to actually do for your business? Is it to showcase a particular product or service (or a whole range of them), to introduce your company as a whole, or maybe it’s purely an information piece for customers who have already made a purchase? 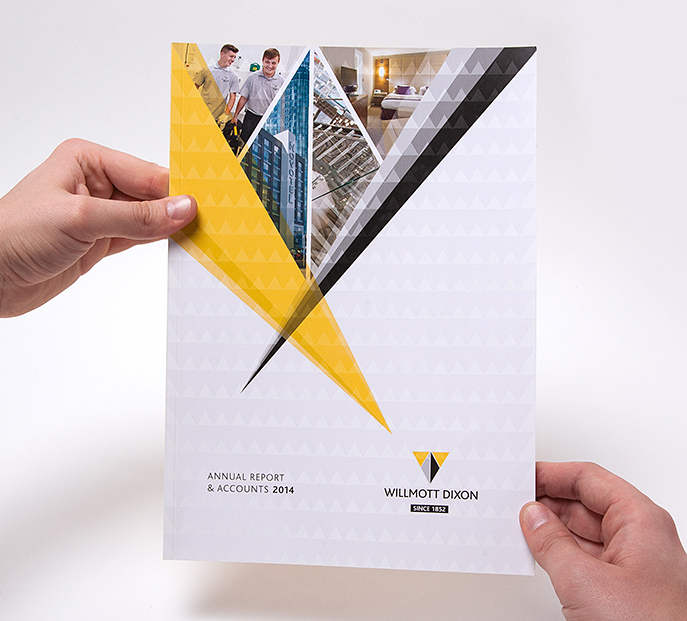 There are lots of possibilities here, but we need to keep this objective front of mind, as it’s going to influence the way that the brochure is executed in terms of format, extent and – above all – creative approach. 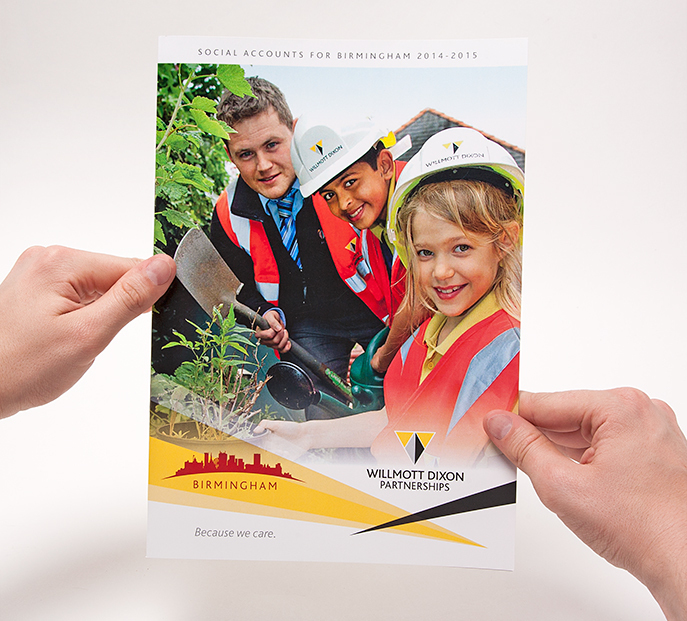 We’ll need to talk to you about setting the right tone, where the content is coming from (and how much of it there is), how long the brochure is going to be around and – significantly – exactly who it is aimed at. 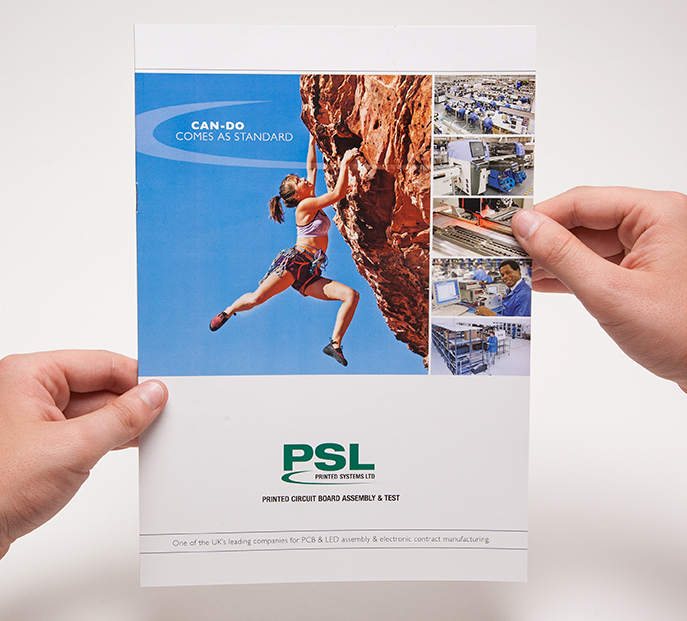 What similar brochures have you produced for the same market in the past? How successful have they been, and what have your competitors been up to? Only once we’ve answered these – and many other – questions, can we get down to the business of concepts and design. Depending on what’s appropriate, we can get as creative as you like at this stage! Likewise – depending on what fits the brief and what you are able to supply us – we can give you as much or as little support as you need when it comes to photography and art direction, copywriting / editing and illustration. 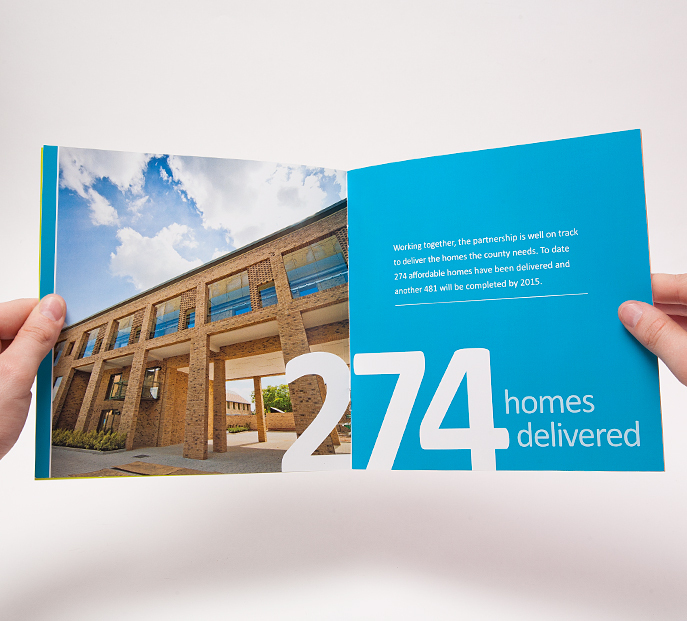 Regardless of the brief, there are some things you can be sure of: we’ll be bringing to the table a wealth of experience in typography, page layout and artwork. And we’ll remain reliable and responsive every step of the way.